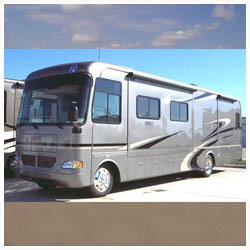 NOW OFFERING OPEN PARKING WITH UP TO 50 AMP SERVICE SHORT AND LONG TERM TOUR BUSES, RV'S AND MOTOR COACHES! I'm from Louisiana where flip flops come out in February, we don't have fire flies we have "lightning bugs" we don't have crayfish in the creeks, we have "crawfish" in the ditch, " taters" are mandatory, Y'all is a proper noun, Chicken is fried, biscuits always come with gravy, sweet tea is the… house wine, rice and gravy is king,and you never, ever disrespect your elders. Post this if you were raised in Louisiana. 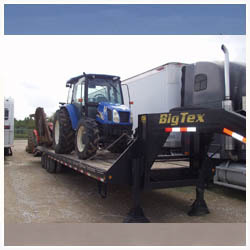 Katy Storage now offers open parking for your convenience at two locations. Park Row Storage is located at 20820 Park Row Drive between Mason Road and I-10 (Map) in the West Houston and Katy area with easy access on and off I-10. Morton Road Storage is located on Morton Road between Katy-Hockley and Pitts Road (Map) in the West Houston and Katy area with easy access on and off I-10. 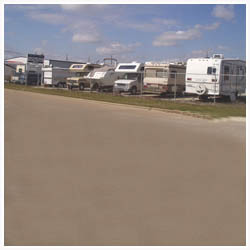 If you need R.V., boat, trailer or commercial truck/18 wheeler parking, Katy Storage can accommodate your parking needs. 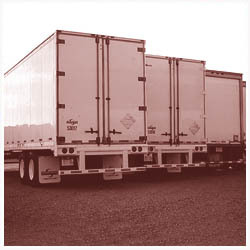 Large commercial 18 wheeler parking is easy due to our wide driveways, large parking spots, large turning radius, 24 hour access and easy backup and maneuvering areas. Heavy equipment parking in Houston or in Katy close to I-10 is why many commercial businesses turn to us for their parking needs. We offer month to month leases on parking spaces. Our low rates make it affordable storage. 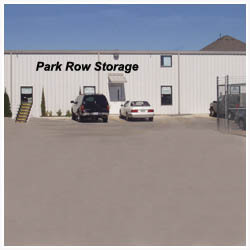 In addition, our security fences, lights, automatic gates with keypads and 24 hours access are just a few of the reasons that Park Row Storage is Katy’s storage center. With both of our locations in Katy, Texas in the West Houston area, providing parking near I-10, Katy Storage has become the leader in the Storage & Parking Industry. Due to the many neighborhood deed restrictions in the Katy and West Houston Area, R.V. and boat owners rely on us for storage of their valuables. 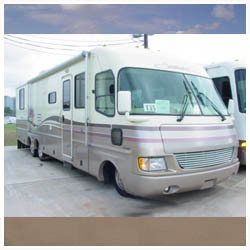 Being located as close to I-10 as we are you save valuable time on the way in and out of town. No long term contracts. We offer month to month contracts. Our low rates make it affordable storage. Our security fence, lights, automatic gates with keypads and 24 hour access are just a few of the reasons that Park Row Storage is Katy’s storage center.